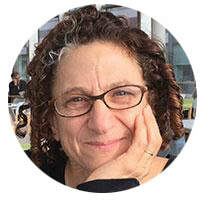 Cynthia Dwork, the Gordon McKay Professor of Computer Science at the John A. Paulson School of Engineering and Applied Sciences at Harvard, the Radcliffe Alumnae Professor at the Radcliffe Institute for Advanced Study, and an Affiliated Faculty Member at Harvard Law School, is renowned for placing privacy-preserving data analysis on a mathematically rigorous foundation. She has also made seminal contributions in distributed computing and cryptography. Her current foci are ensuring statistical validity in adaptive data analysis, and developing a theory of algorithmic fairness. Dwork is a member of the US National Academy of Sciences, the US National Academy of Engineering, and the American Philosophical Society, and is a Fellow of the American Academy of Arts and Sciences and of the ACM. "​Full Circle and a Path Forward: Differential Privacy and the US Census"
Differential privacy is a mathematically rigorous definition of privacy tailored to statistical analysis of large datasets. Differentially private systems simultaneously provide useful statistics to the well-intentioned data analyst and strong protection against arbitrarily powerful adversarial system users -- without needing to distinguish between the two. Differentially private systems "don't care" what the adversary knows, now or in the future. Finally, differentially private systems can rigorously bound and control the cumulative privacy loss that accrues over many interactions with the confidential data. These unique properties, together with the abundance of auxiliary data sources and the ease with which they can be deployed by a privacy adversary, led the US Census Bureau to adopt differential privacy as the disclosure avoidance methodology of the 2020 decennial census. This talk will motivate the definition of differential privacy, describe some of the techniques to be used in the 2020 census, and explain some of the utility gains over previous methods and the sense in which differential privacy provides a best-possible solution. Finally, the talk will highlight a few of the many remaining challenges.